GetRentr leverages data and tech to help businesses reduce risk of liability, retain customers and drive new revenue streams. We do this by monitoring and aggregating all UK property licensing regulations to create a live dataset covering the entire UK. Our platform automatically reconciles clients’ property portfolios with the UK’s dynamic property licensing framework, immediately notifying them of anything that impacts their properties. Having been invited to a proptech round table run by the UK Cabinet Office, we met Miranda Sharp, Director of Innovation at Ordnance Survey, who told us about the Geovation programme. When we investigated further, we couldn’t get our application in quickly enough! Having successfully negotiated the selection process and been selected from a large pool of applicants, we joined the November 2017 cohort. The GetRentr team at work including Orla Shields (left), Co-Founder and CEO. Yes, we were one of the first PropTech companies selected. Unfortunately, our time on the year-long programme comes to an end next month as we make way for the next cohort of innovative proptech start-ups looking to change the world! What did being part of the Geovation programme bring you that you didn’t have before? 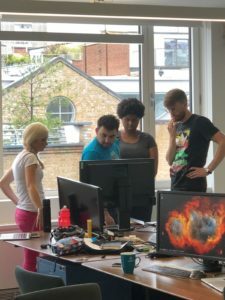 Acquiring free managed office space in Clerkenwell along with a £20k grant really freed us up to fully focus on building an innovative company and product. The environment and culture of the space is truly inspiring as every day you are surrounded by extremely talented and determined people with huge ambitions. When you’re growing a young company, something that becomes very clear very quickly is that you run into a lot of issues that you don’t necessarily have the expertise or capacity to deal with within your team. An example of this is when we needed to redesign our brand to reflect the shifting and broadening goals we had set. We didn’t really know how to go about this. We were able to call on Geovation’s expertise by meeting with a senior in-house UX designer to scope and build a brief (which he reviewed for us multiple times!). This had a significant impact on us as we were able to pinpoint a design agency to build exactly what we wanted. Having that level of expertise within a stone’s throw is extremely comforting for any business which is rapidly maturing from start-up to fully-fledged. As a data driven platform, access to the Ordnance Survey and HM Land Registry datasets has also been extremely useful for us. We have been able to use this data to analyse where regulations might be implemented and expand our knowledge base and, in doing so, increase the value of our platform. The validation and legitimacy lent by the support of two huge government agencies cannot be underestimated too, both with clients and investors. What are your thoughts on the geospatial sector? Data and technology are having a huge impact on our lives every single day. Some of the greatest powers that can be gleaned from data is when it breaks out of its own niche. To take Uber as an example, its fundamental technology is a GPS tracking system used by drivers and passengers to connect. Once they start adding in things like data on the weather, remaining battery life, tube strikes etc. and combine and analyse how these facts impact consumer behaviour, they can glean powerful information on pricing. Individual property screenshot of GetRentr. Another example is that there is a huge future in wearable technology in relation to medical and health information. It is simple enough to gather data on a person’s heart rate if they are wearing a smart watch, but gathering their location data and overlaying that with pollution levels for example can create deeper insight into health and risk of certain diseases. These data driven insights have a massive tangible impact on real people allowing pre-emptive prevention rather than treatment of damaging symptoms. Data used like this can increase people’s quality of life meaningfully. I firmly believe that the future potential of the geospatial sector is firmly ensconced in data. Certain technologies become obsolete or unfashionable as time passes, whether that be the printing press or the iPod, but it is difficult to imagine a world where location becomes obsolete. This is a market that is both growing in technological capability and its intrinsic necessity to human beings. What is next for GetRentr? Although we will miss our first home at Geovation, the future for GetRentr is tremendously exciting. We may have expanded to a team of seven, but we’re very much on the hiring trail looking to bring in new members to build on the marketing, developer, and data teams. Our first core product is live and being used daily both by some of the biggest names in the industry and 1,000s of individual landlords through our partnership with the NLA. Having recently brought on board a dedicated business development manager, our marketing and sales strategy on this side is due to really ramp up soon. 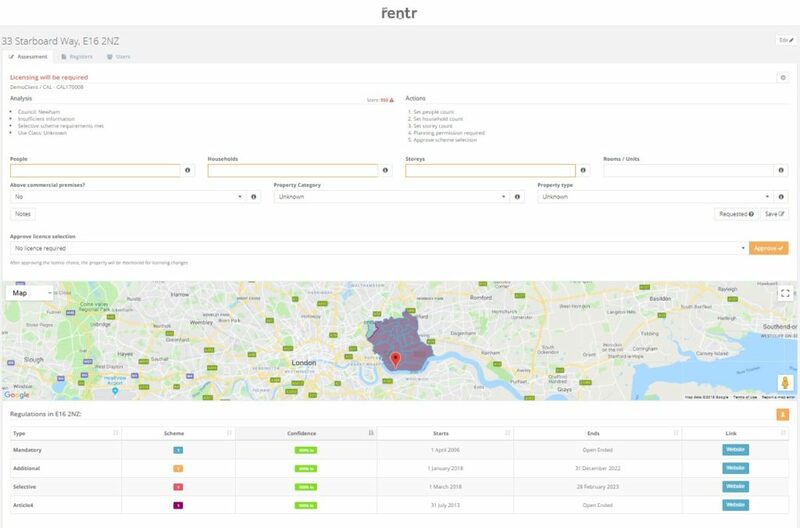 Additionally, we are looking to move into new markets with new products to allow new types of clients to leverage GetRentr’s Property Licensing intelligence in areas connected to but separate from pure compliance. We hope to make a significant announcement in this area very soon so keep your eyes peeled for that! This will also bring us closer to achieving our core mission to make sure that no tenant has to live in sub-standard or unsafe accommodation in the UK again. We firmly believe that data and technology is central to realising this mission and are certain that it is not a utopian dream, but an achievable reality. 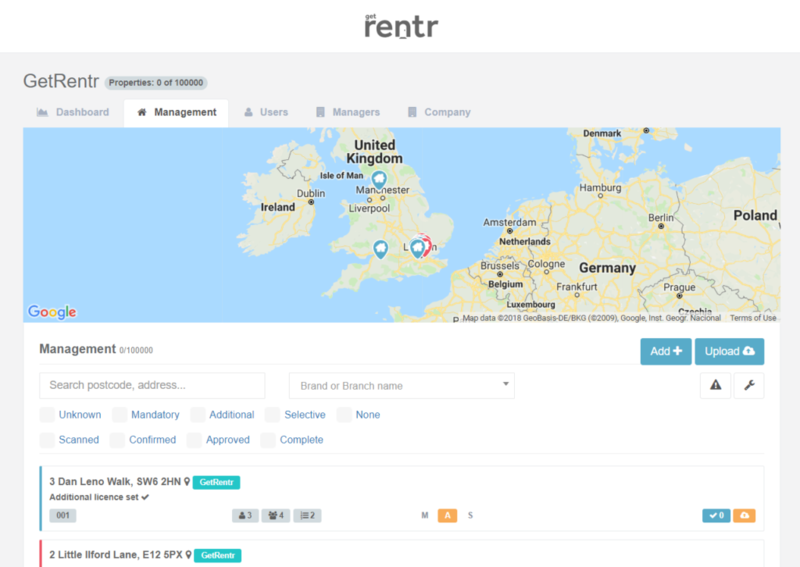 Find out more about GetRentr and keep up with their latest news.